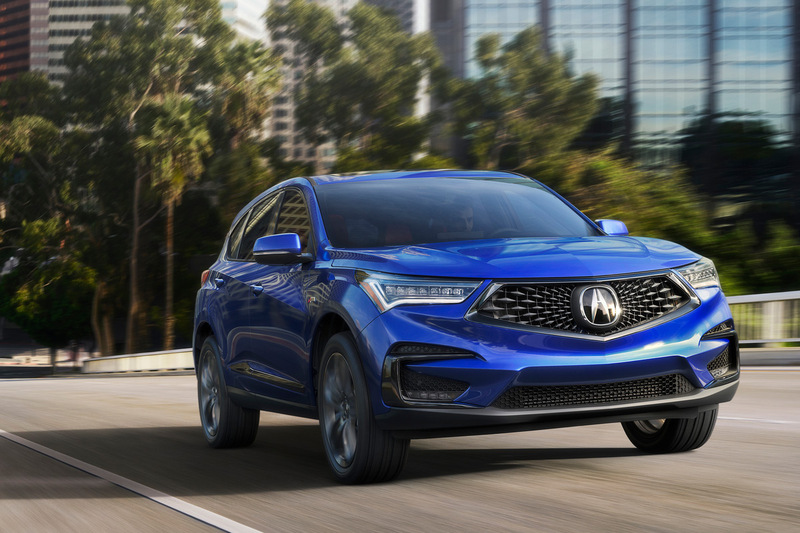 The 2019 RDX showcases Acura’s signature Diamond Pentagon Grille flanked by all-new Jewel Eye™ headlights – now boasting seven LED light elements, up from the previous five. Below, wide air intakes include NSX-inspired air curtains feed air efficiently around the front wheels and down the body side. 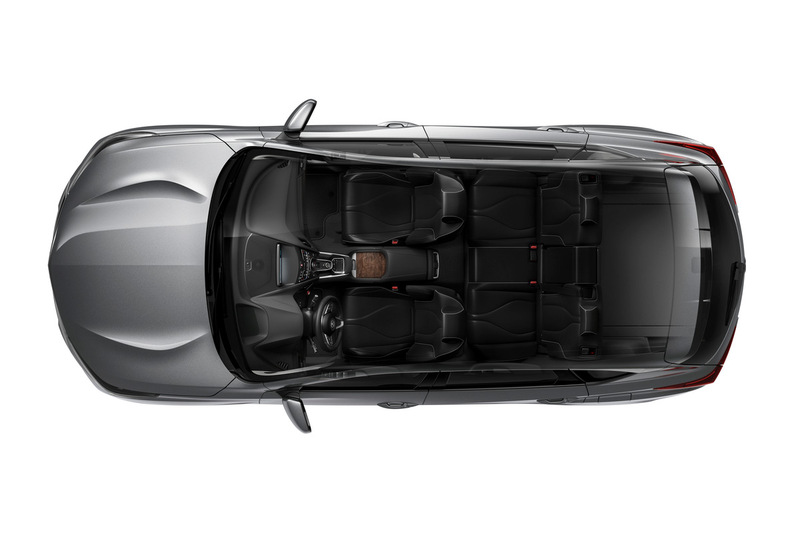 Prominent hood bulges are visible from inside the cabin, signaling the performance character of the third-generation RDX. 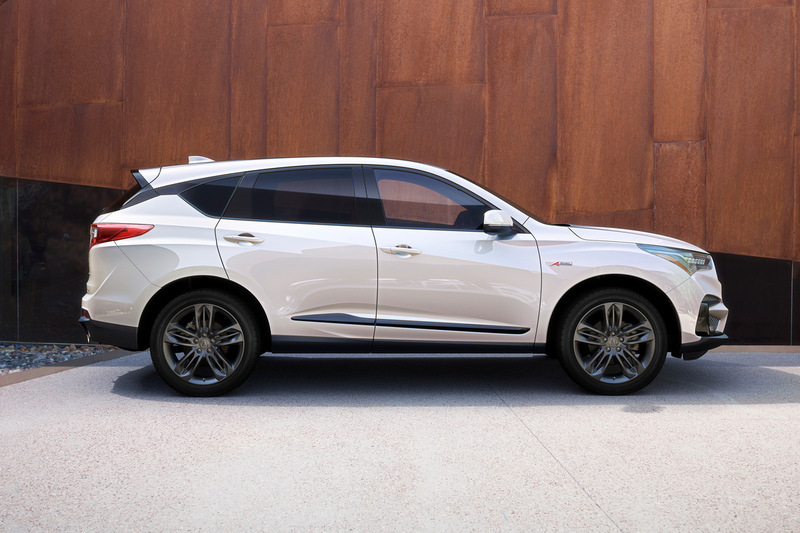 Sharp character lines accentuate the front and rear fenders, with an aggressive “dropping” character line running the length of the RDX. A pen stroke of chrome (gloss-black on A-Spec) highlights the upper greenhouse and lower rocker. 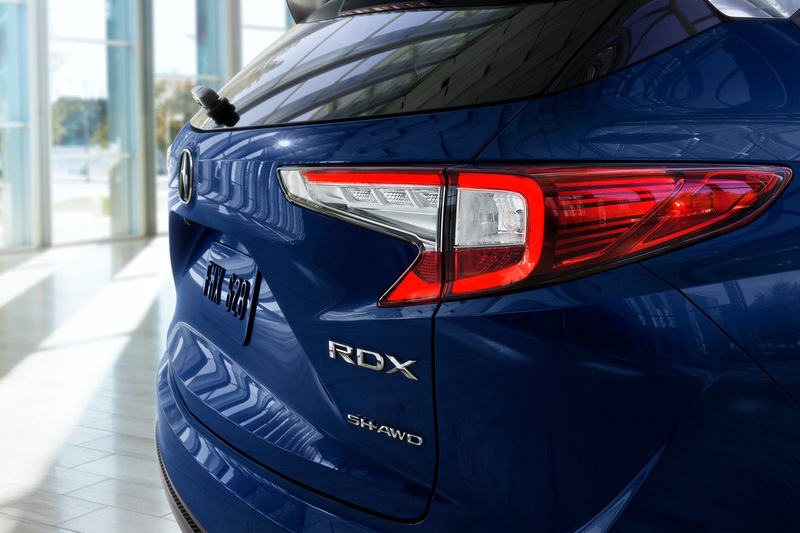 At the rear, the design of the 2019 RDX is capped off with a distinctive “dragon tail” LED light signature of the taillights. The RDX’s body structure is composed of over 50 percent high strength steel. It utilizes a new double-ring rear frame design and new two-piece ultra-high-strength steel front door rings, which significantly increase body rigidity, handling precision and cabin quietness. 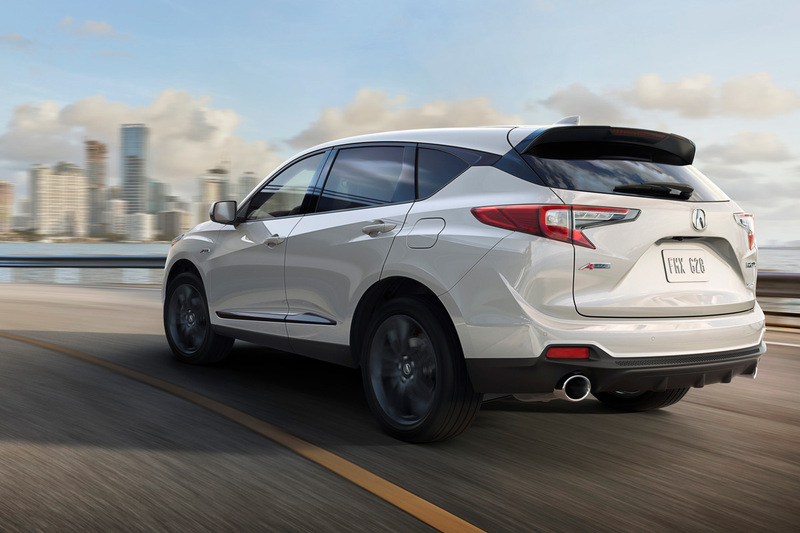 The new RDX takes power from a direct-injected and turbocharged 2.0-liter, 16-valve powerplant with DOHC VTEC®valvetrain and Dual Variable Timing Cam (Dual VTC). Peak output is 272 horsepower and 280 lb.-ft. of torque. Compared to the previous model’s V6, peak torque is up 28 lb.-ft. and available across a wider section of the power band, from 1,600 to 4,500 rpm (previously 252 lb.-ft. at 4,900 rpm) with low-RPM torque boosted by as much as 40 percent for quicker acceleration and sharper throttle response. The RDX’s turbocharged engine is paired with a 10-speed automatic transmission (10AT) – the first and only 10AT in the class. 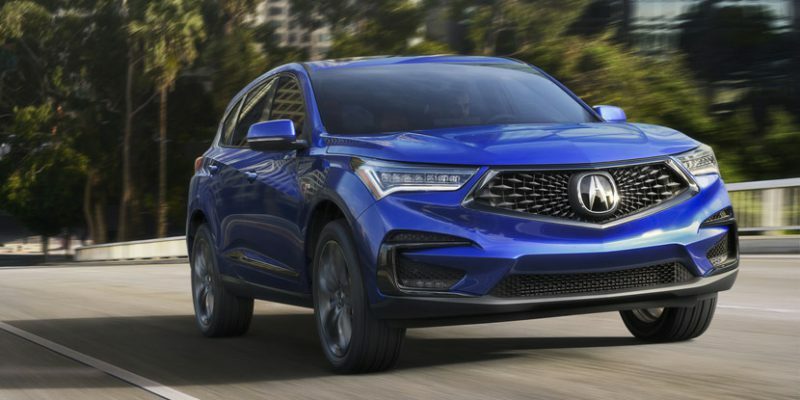 With more closely spaced ratios and a 62 percent wider ratio range, Acura’s 10AT takes full advantage of the turbo engine’s bountiful low-end torque. Gear changes are quick and seamless, in both automatic mode and using steering wheel-mounted paddle shifters. The third generation redesign also marks the return of torque-vectoring Super Handling All-Wheel Drive™ (SH-AWD®) to RDX, in its most powerful and sophisticated form ever. 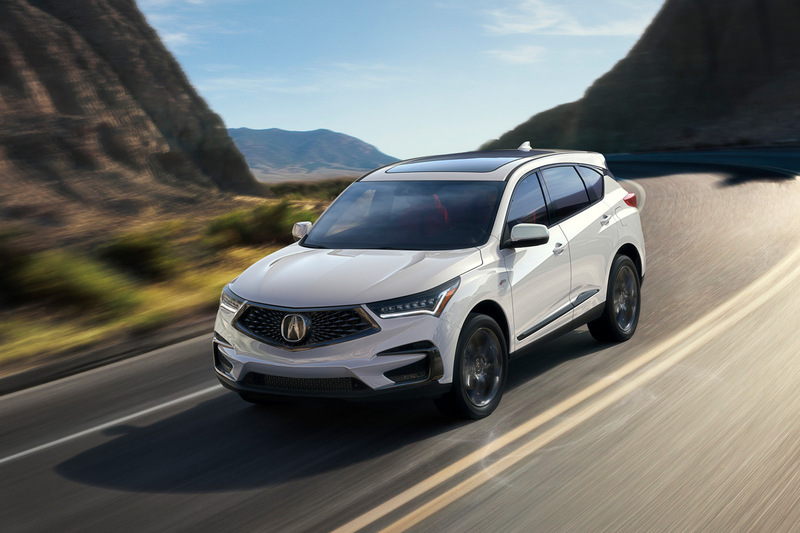 In addition to improving all-wheel-drive performance, Acura’s SH-AWD utilizes dynamic torque vectoring to sharpen handling response and deliver vivid, exhilarating and confidence-inspiring driving performance in virtually all weather and road conditions. With Acura’s Super Handling All-Wheel Drive, up to 70% of torque can be distributed to the rear wheels. And up to 100% of that torque can be distributed to either the right-rear or left-rear wheel, creating incredible control and agility. 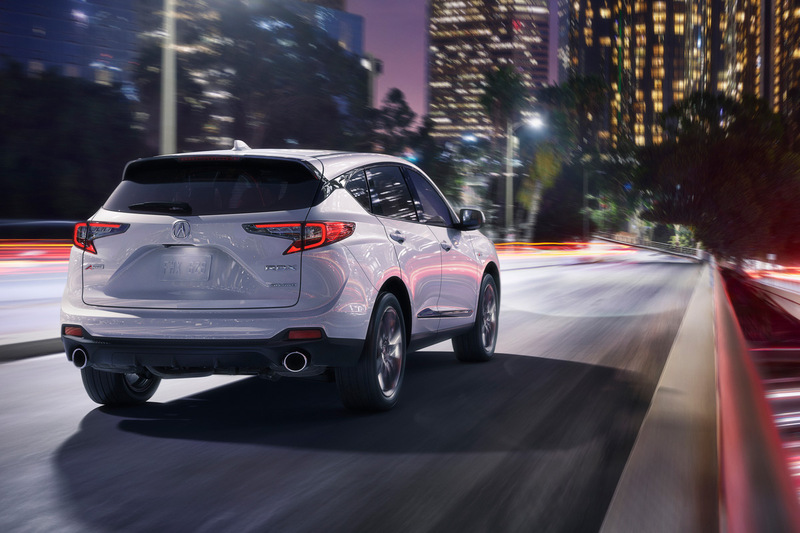 The 2019 RDX is the first model to utilize this new generation of Acura SH-AWD. 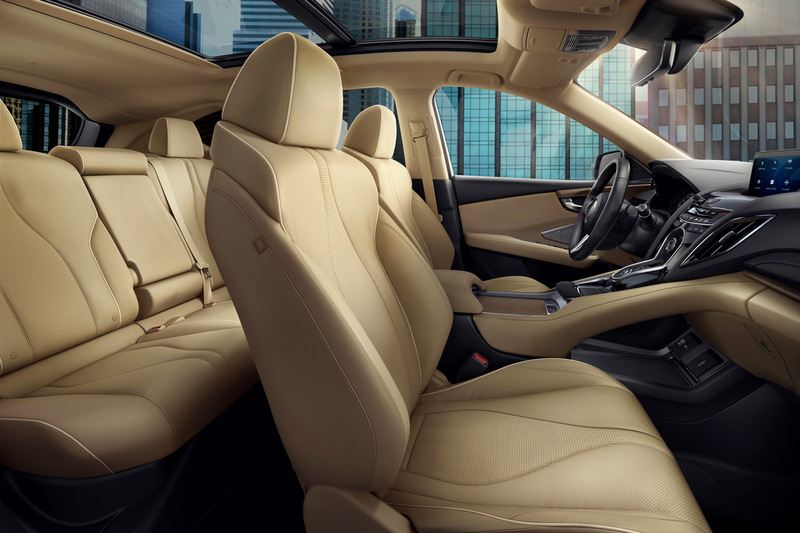 The 2019 RDX’s sumptuously appointed, tech-forward and spacious new cabin features Acura’s latest thinking for a more premium, personal and connected driving experience. 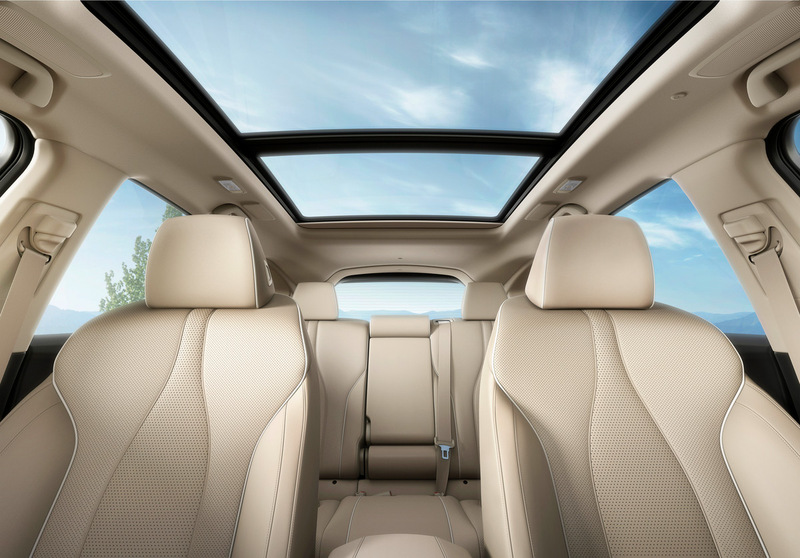 The RDX’s new ultra-wide panoramic moonroof, standard on all grades, has power slide and tilt functions and a power sliding sunshade. It is among the largest and widest in the class providing an open and airy feeling throughout the cabin. 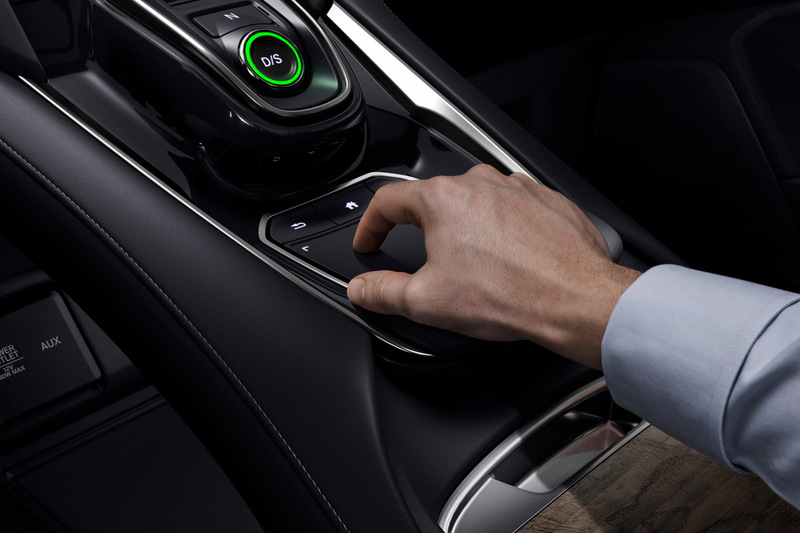 Designed from a clean sheet and deployed for the first time in the automotive world in the third generation RDX, Acura’s True Touchpad Interface is a holistic, system-level approach to in-car user interface that is optimized for the driver and the driving experience. The system is designed to combine the advantages of both conventional touchscreen and remote-based approaches. 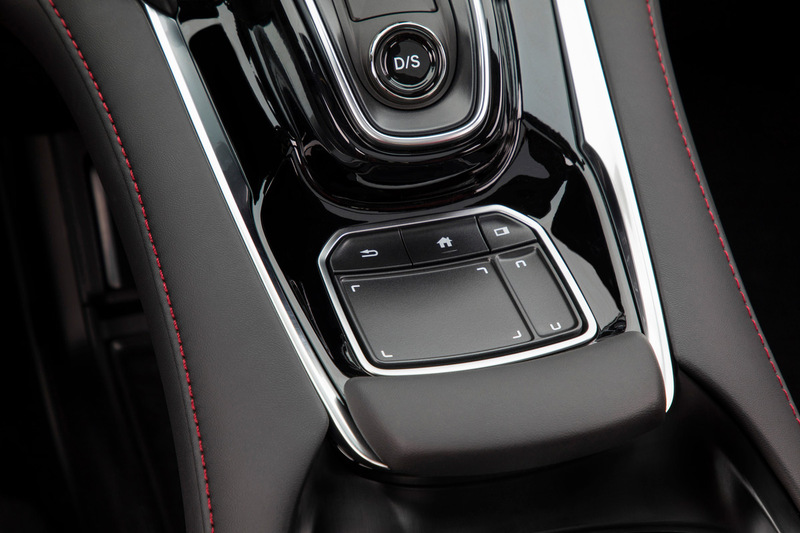 The True Touchpad Interface features a 10.2-inch full-HD center display mounted high atop the center console, close to the driver’s natural line of sight, a center console-mounted touchpad and an all-new, Android-based operating system. 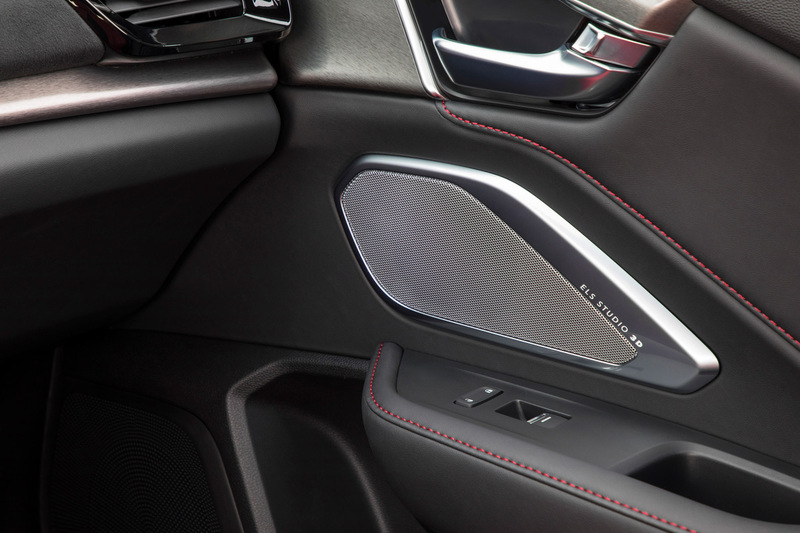 Unlike conventional touchpad designs, Acura’s True Touchpad Interface does not require the user to locate a cursor on the screen while navigating the touchpad. To support intuitive and easy control, the touchpad is precisely mapped, one-to-one, with the action on the center display – the world’s first application of absolute positioning in the driving environment. Simply, a touch on any location of the touchpad corresponds directly with that same location on the display. Further supporting ease of use, the touchpad’s surface is slightly concave, allowing the user to quickly identify the center of the touchpad without looking down. 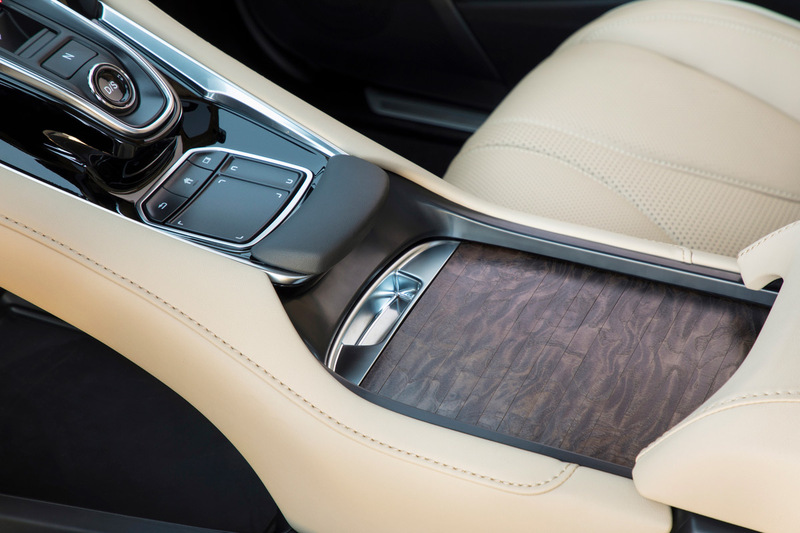 A padded wrist rest, integrated within the RDX’s high-deck floating center console, provides a comfortable and stable platform for operating the touchpad. 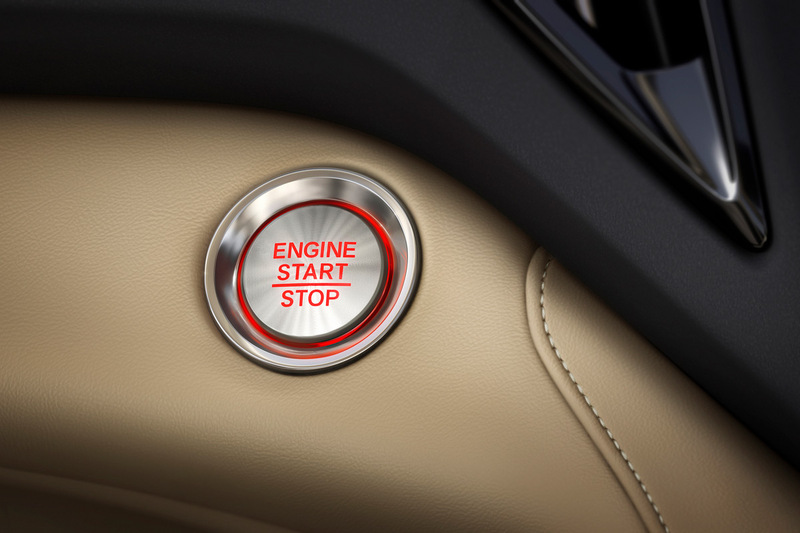 Another Acura first is a new natural language voice recognition system, which allows for more intuitive voice control of major features and functions, including commands for the available embedded Acura Navigation System. Also new is an available 10.5-inch full-color interactive Head-Up Display, which puts customizable information displays, including audio, phone, AcuraWatch alerts, turn-by-turn navigation and more directly in the driver’s line of sight. 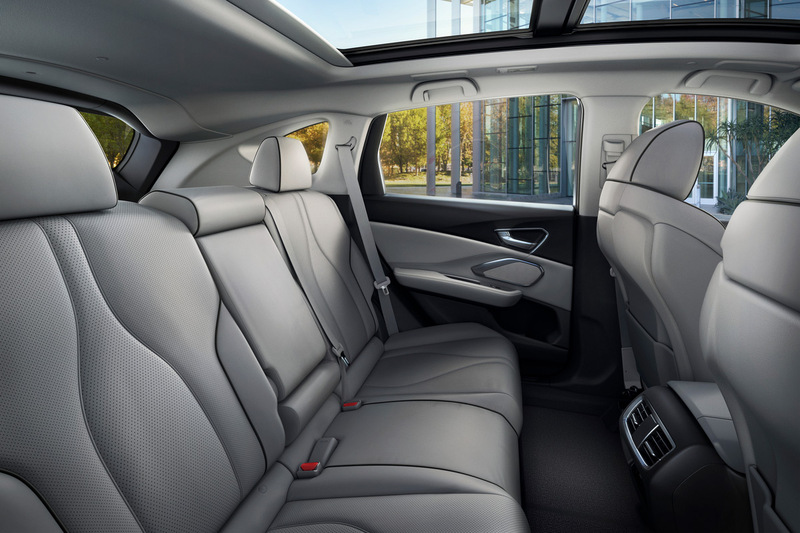 Inside, the RDX A-Spec features exclusive sports seats wrapped in either black or red leather with black premium Ultrasuede® inserts and contrasting stitching. 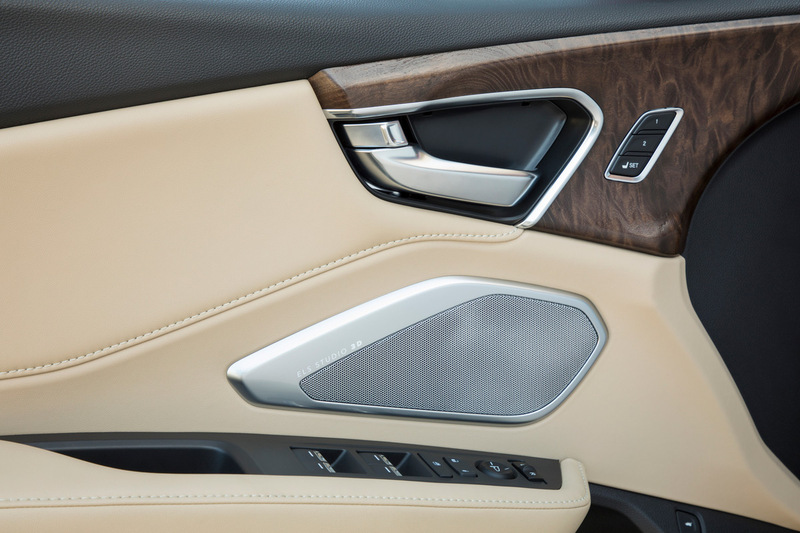 Real aluminum decorates the center-console, doors and instrument panel, with additional soft-touch Ultrasuede on the dash. The A-Spec’s stitched leather sport steering wheel features gloss black trim, metal-plated paddle shifters and A-Spec badging. 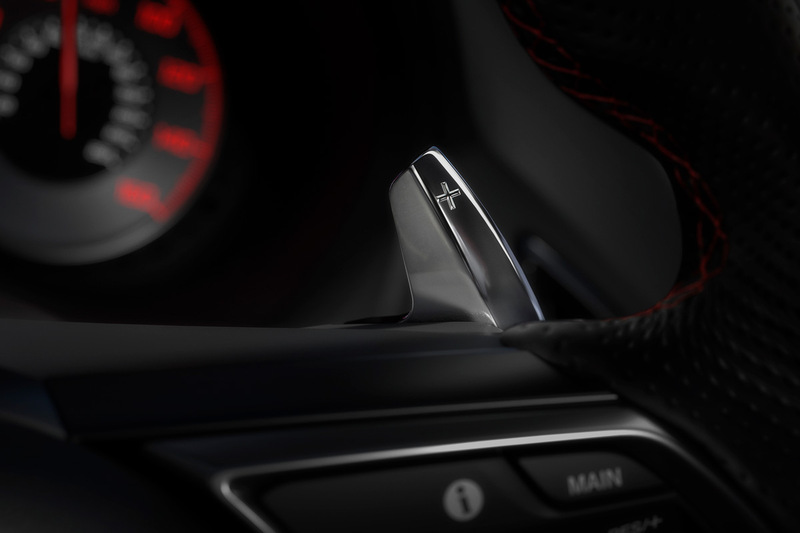 A unique driver’s gauge cluster gets an A-Spec exclusive satin silver finish with red-illuminated nighttime readouts. 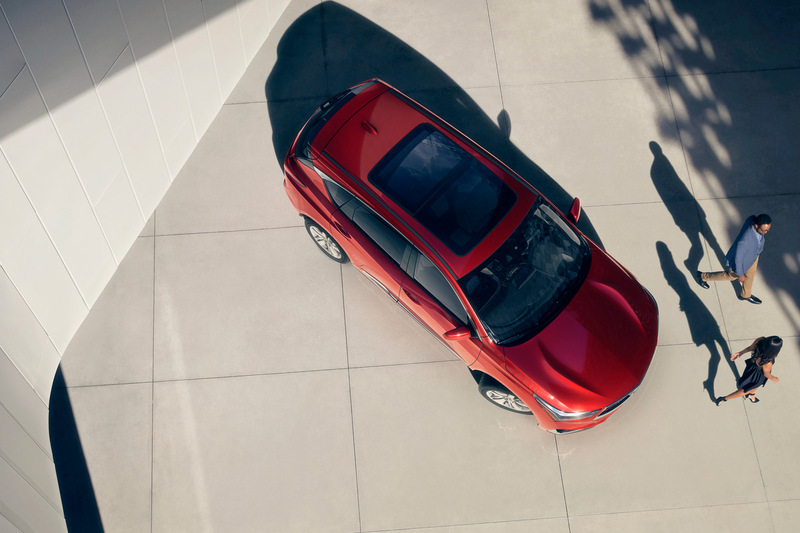 Utilizing the latest generation of Acura’s Advanced Compatibility Engineering™ (ACE™) body structure along with advanced supplemental restraint systems, including front and front side airbags, front knee airbags, side curtain airbags, pretensioning seatbelts and Lower Anchors and Tethers for CHildren (LATCH) child-seat anchors, the 2019 RDX targets top NCAP 5-star Overall Vehicle Score and an IIHS TOP SAFETY PICK+ rating. 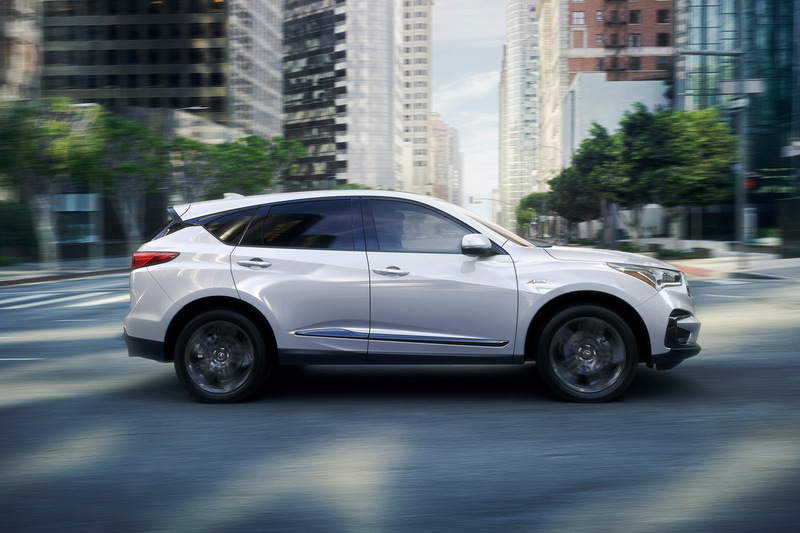 The third-generation RDX is the first RDX to be designed and developed in America. Styling design of the RDX was conducted by the Acura Design Studio in Los Angeles, California, with development undertaken by the company’s North American R&D team, based in Raymond, Ohio. The new RDX will be manufactured in East Liberty, Ohio, with its 2.0-liter turbo engine produced in the company’s Anna, Ohio engine plant and its 10-speed automatic transmission manufactured at the company’s Tallapoosa, Georgia plant. Additional media information including pricing, features and high-resolution photography is available at acuranews.com/channels/acura-automobiles. Consumer information is available at http://www.acura.com. Follow Acura on social media at https://acura.us/SocialChannels. The Acura lineup features six distinctive models – the RLX premium, luxury sedan, the TLX performance luxury sedan, the ILX sport sedan, the 5-passenger RDX luxury crossover SUV, the seven-passenger Acura MDX, America’s all-time best-selling three-row luxury SUV and the next-generation, electrified NSX supercar as a new and pinnacle expression of Acura Precision Crafted Performance. 1. Certain AcuraLink features require subscription; in-car WiFi requires data plan. Head to toe and inside and out this thing is above the rest. All Acura needs to do is bring the Type-S back but with at least 400+Hp in the V6TT, big Brembo brakes, and a well tuned suspension.